Sometimes you find good recipes from the strangest of sources. I find great recipes on the internet, food blogs, magazine sites, magazines and my lovely books (even if many of the recipes from them are already on the internet somewhere, they’re just lovely to have). But… even though I have all these resources available to me, I still sometimes take the recipes card at supermarkets, and this particular time, it paid off. I tend to like the look of many of the mushroom-based recipes on the recipe cards from a mushroom growers group (I think). 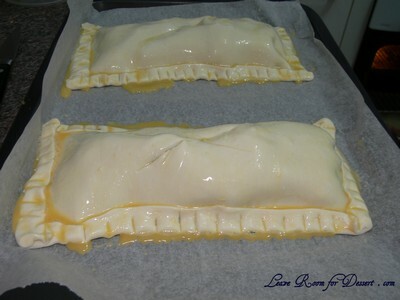 This strudel is lovely and slightly sweet due to the honey, and creamy due to the brie. It is great for a light(ish) meal, served with a salad or steamed vegetables. Preheat oven 200°C. Heat oil in frying pan over medium heat. Add onions and garlic and cook, stirring often for 10 minutes or until soft and light golden. Stir in the honey, cook for 2 minutes. 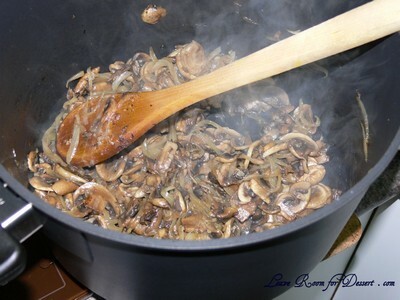 Add mushrooms, increase heat to high and cook for 8 minutes or until all the liquid evaporated. Remove from heat and set aside to cool. Stir the cheese, parsley and salt and pepper into the mushroom mixture. Cut each sheet of pastry in half, place one half onto a greased baking tray or one lined with baking paper, and allow room for spreading. 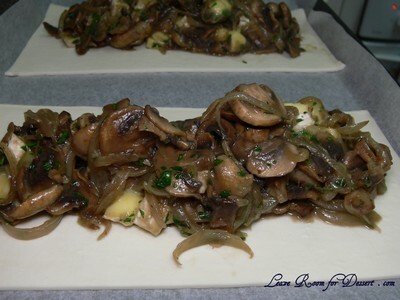 Spoon the mushroom mixture evenly over the pastry halves, leaving a 1-2cm border around the edges. 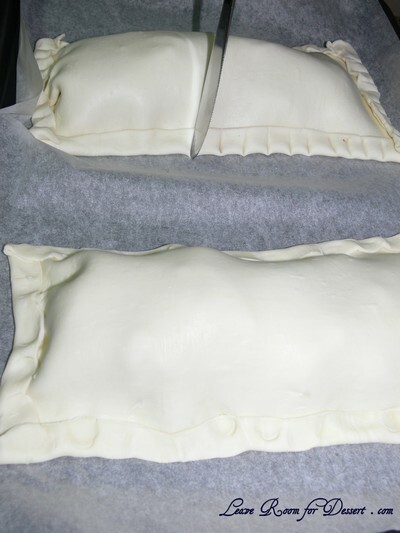 Place the other halves on top, pressing the edges together or folding them over and using the back of a knife to press the pastry ever 1-2cm of the pastry to create a nice edges. Cut a cross in the centre, brush with egg and season with salt and pepper. Bake for 20-25 minutes or until puffed and golden. 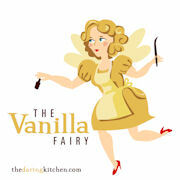 Filed under Main Meals, Recipes, Vegetarian. You can follow any responses to this entry through the RSS 2.0 feed. You can leave a response, or trackback from your own site. Thanks for the recipe! I love this and will make it for lunch this week. Yum! Great savoury recipe! such a great idea for vegetarians. Sometimes i don’t feel like eating meat and i just want to eat vegies but something comforting like this strudel. Yum. This looks delicious! I love the mushroom & cheese combo! Perfect for a light winter meal! I was planning on making pies this weekend, but this looks heeeaps easier. Ohh and by adding the Brie cheese, i think that just takes the cake. I love everything cheese. 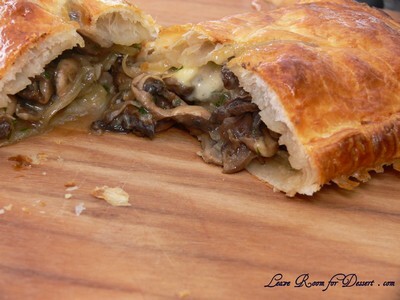 Hmm maybe make two versions, mushroom and cheese strudel, and spinach and cheese strudel. Thanks for the recipe. I shoudls tart paying attention to recipe cards at supermarkets more. Oh this looks soo good! And it looks like something that I can do at home as a perfect winter-y dinner! Thanks Anita! I love when you pick up a recipe from an unexcepted source, an immediately are happy you did. I’ve found a few like that over the years. Mostly thumbing through Women’s magazines in waiting rooms! I am drooling… that looks so good and heart warming. I think a smidgeon of bacon could only improve the situation. Looks delicious! And I always pick up those recipe cards at grocery stores even if I have no intention of using them…I’m a recipe hoarder! That looks lovely, and the brie would really make it special. It’s nice when a recipe is unexpectedly good. looking yummy for a winter meal. Yumm…that looks like a delicious strudel, how surprising that you got the recipe from a pamphlet! I wonder if it would work with filo pastry too? 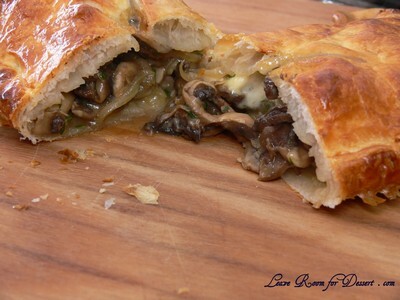 This looks really delicious and what better combination than mushrooms and melted brie! the pastry looks so flaky with the gooey oozy center. I would easily gobble this up with a nice glass of merlot! 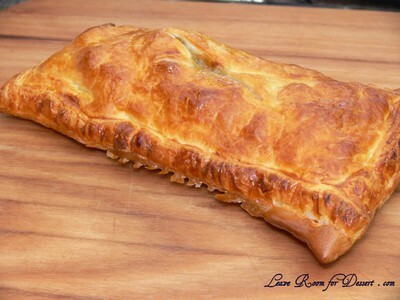 I love savory pies and strudels, this looks perfect! Oh man. I am DROOLING! These look absolutely scrumptious! That hot piping filling…oh my! Hehe, I always get the recipes from the supermarket, and from the back of packets, the newspaper, etc. And from other people’s blogs, yours included. 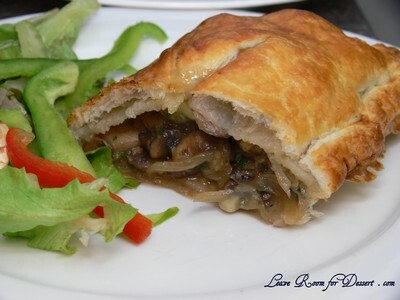 That mushroom strudel is a good find, by the way. Hi Alexandra – I’m a hoarder of recipes too… now I just have to try and organise myself a bit better. 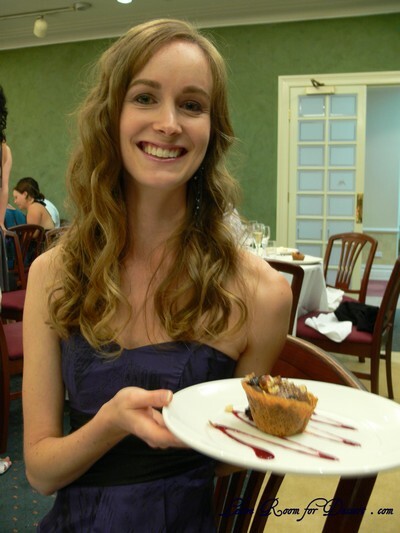 Hi Steph – I think it would wonderfully with filo pastry too.